Have you built every project you can possibly find and need new inspiration? 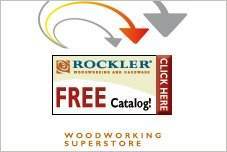 There are many miscellaneous free woodworking plans that will keep you busy and range from simple to complex. If you love cider, an old-time apple press that really works is a great project. Perhaps you have a fireplace that has an unattractive or nonexistent mantel. Create a striking mantel of MDF material and turn that eyesore into a focal point guests are sure to notice. If you are looking for new woodworking experiences, build a curvy umbrella stand with Flexply bendable plywood. 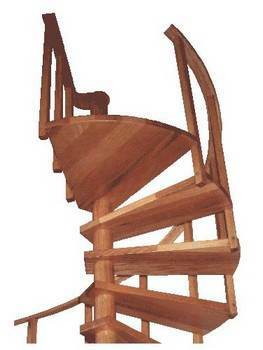 Take curve building to new heights with free woodworking plans to build a spiral staircase that is actually a simple plan. Easy projects for beginners include bookends, tissue box holders and tool totes. 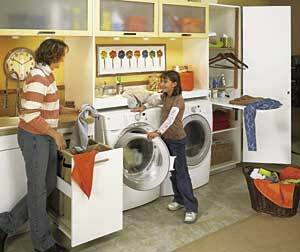 Easy or complex, there are projects for everyone in the family. Fabricate your own book nook to have extra space for your books with this design. A bench seat is also included for convenience. 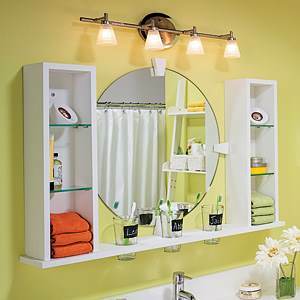 Featuring a sleek and modern design, constructing your own bathroom can be an easy task with these building plans. 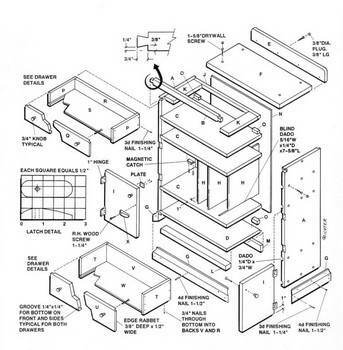 You can learn to build a unique cabinet for just a few hundred dollars. Instructions for building handy folding TV trays that come in handy for patio parties or just sitting in front of the TV. 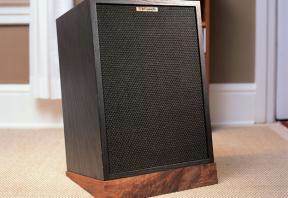 Build speaker stands using this project and you will notice better sound and performance from your floor speakers. This bedroom organizer, inspired by 19th century American furniture, will organize CD's, cassettes, school papers and personal items. Your most treasured books will remain upright with this wooden bookend. Create your own modern sofa. 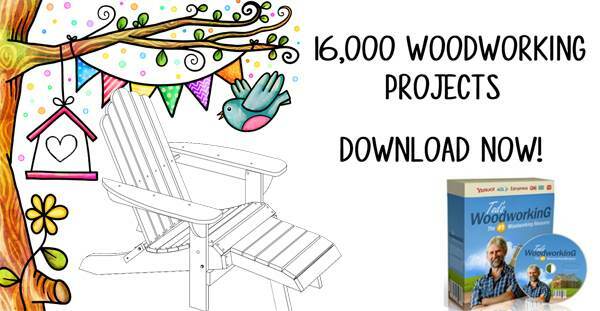 These easy designs allow any novice woodworker to create their own professional sofa at home. If you recently purchased a new home and need to redo the laundry room, these plans are perfect for a simple yet professional looking makeover. 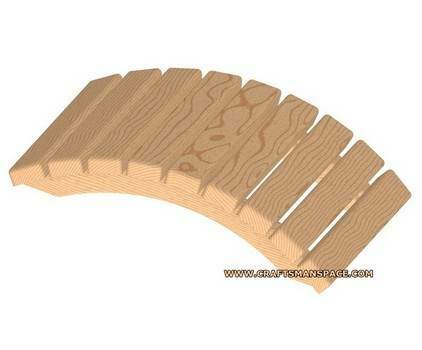 With these detailed plans, you can build a wooden spiral staircase. 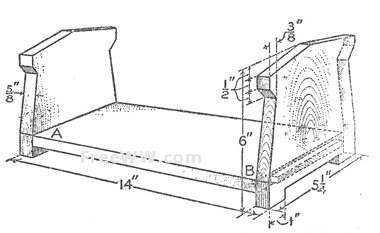 Plans with parts list and dimensions to make a wooden pillow. This is a project for a tissue box cover that is easy to create and will add to the decor of any room in the house. 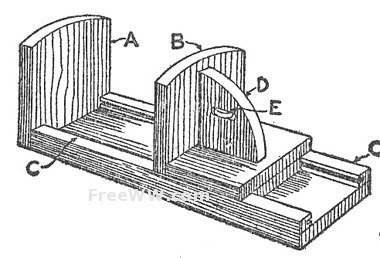 Using cedar fence board and this plan you can easily built this dried flower holder. 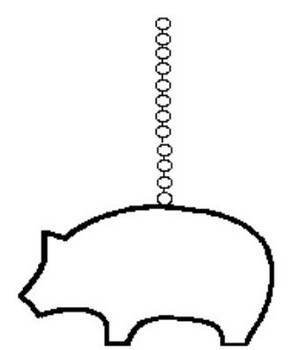 Add interest to a chain pull by adding a wooden animal, heart or flower to the end of it. Build an easy bookrack with these free plans - great for kid's rooms. 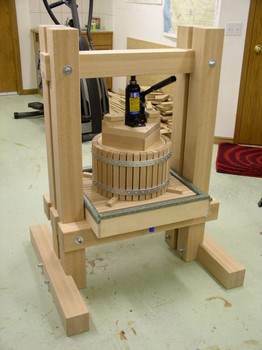 Use these project plans and build an apple cider press. 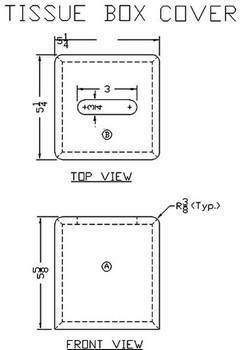 Plans include photos and instructions.